Q. How do I find projects written by UNBC nurse practitioner graduates? 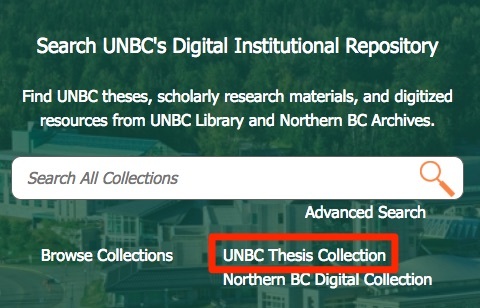 Once you have reached the Institutional Repository home page, you can click the UNBC Thesis Collection link, located under the search bar. 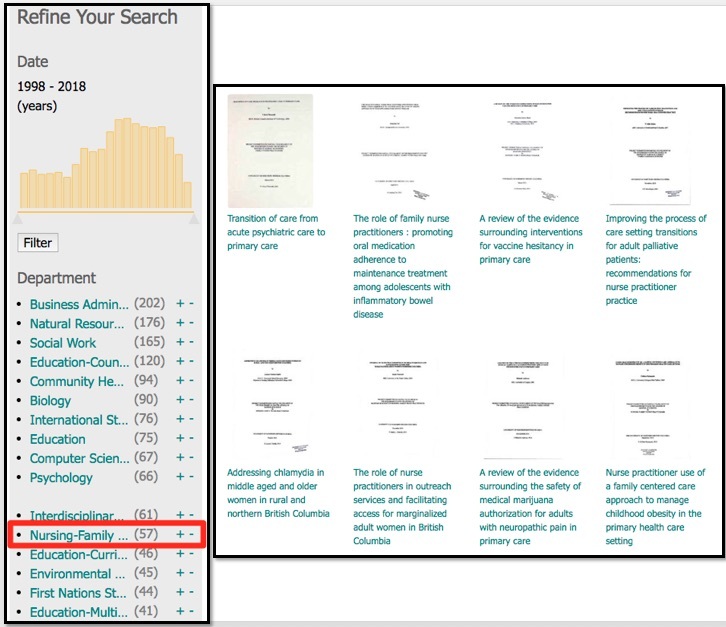 Once you are in the thesis collection, you should be able to limit the results by using the facets on the left-hand side of the screen. Here you can select the appropriate link in order to view the projects and theses associated with that discipline.